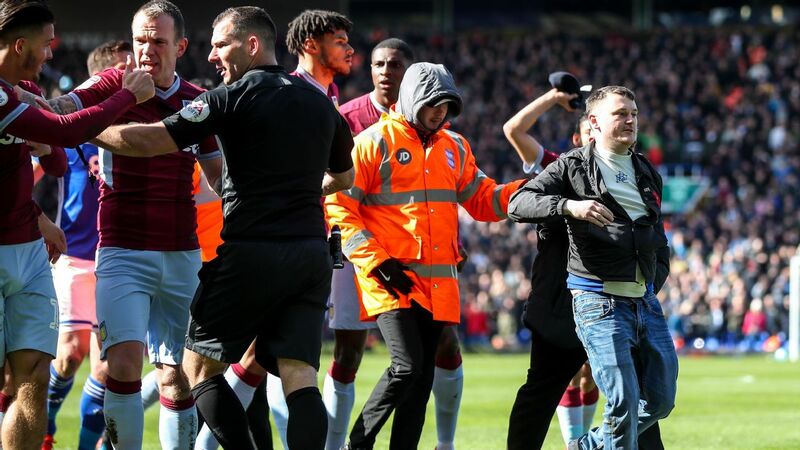 A Birmingham City fan has been jailed for 14 weeks after pleading guilty to assaulting Aston Villa midfielder Jack Grealish during the derby between the sides on Sunday. Paul Mitchell, 27, swung a punch at Grealish when the player's back was turned after Mitchell ran onto the pitch at Birmingham City's St. Andrew's stadium during the Championship match. Birmingham's Championship match at home to rivals Aston Villa was marred by disgraceful scenes early in the first half as a supporter ran onto the pitch and threw a punch at the back of Jack Grealish's head. Villa's 1-0 win at St. Andrews was barely 10 minutes old when a fan came onto the field of play and approached Grealish. Nigeria international Ola Aina has backed his former Chelsea teammate John Terry to be a big success at Aston Villa after being appointed assistant coach at the Championship side. The former England captain officially announced his retirement from playing on October 7 and was unveiled at Villa three days later, where he'll assist new head coach Dean Smith following the dismissal of Steve Bruce. John Terry is keen to follow former England teammates Frank Lampard and Steven Gerrard into management but says he will need a few years to learn the ropes after accepting a coaching role at Aston Villa. The former Chelsea and England skipper called time on his playing career earlier this month and has been named assistant to new Villa boss Dean Smith.